This all-inclusive resort is located directly on the beach in Bavaro. It offers 5 restaurants, a full-service spa and a spacious outdoor swimming pool. Wi-Fi is available. Guest suites at the Princess Bavaro offer a balcony and separate living. Located in the stunning Colonial quarter of Santo Domingo, this luxury hotel blends old-world charm with contemporary sophistication in a warm and friendly environment. 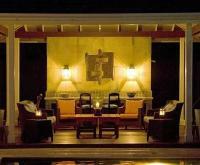 Located in Rose Hill, St Peter's Bay Luxury Resort and Residencies offers an outdoor pool and a restaurant. The property boasts fully equipped apartments with excellent sea views. Conveniently located in the old quarter of Santo Domingo, just minutes from Las Americas International Airport, this hotel offers convenient amenities and easy access to the capital's beautiful monuments. Overlooking the beautiful Caribbean Sea and just 2 km from the historic Colonial City center, this resort features a large casino and a spa. Each elegant room at the Melia Santo Domingo has a flat-screen cable TV and floor-to-ceiling windows. The Be Live Grand Marien is located along the Costa Dorado Beach and faces the Atlantic Ocean. It features a casino, swimming pools and restaurants and offers introductory scuba lessons. This beachfront all-inclusive Adults Only resort features an outdoor swimming pool surrounded by coconut trees and sun loungers. The resort shares the 24-hour casino with Barceló Bavaro Palace Deluxe.